Sometimes kids do the darndest things. 1) Baby’s First Swear Word: This little kid must have been around a potty mouth parent. She learned a colorful word really quickly. 2) Children Using the Internet Earlier: 80 percent of all children between the ages of 0 and 5 use the internet on a weekly basis. Between the ages of 0 and 3, 47% of technology use occurs in front of a television. 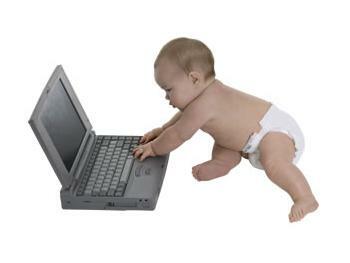 With that in mind, 60 percent of children under age 3 watch videos online. Kids are also multitasking, using the internet and the TV simultaneously. You know, because they have to live-blog their favorite episodes of “Dora the Explorer” from their smartphones. 3) World’s Youngest Alcoholic at Age 3: A British child has been treated for symptoms of alcohol dependency at a local hospital. What’s truly horrifying is that the child is 3. Doctors believe the baby was given alcohol on a regular basis for at least 6 months. Alcoholism remains a huge problem in the UK.